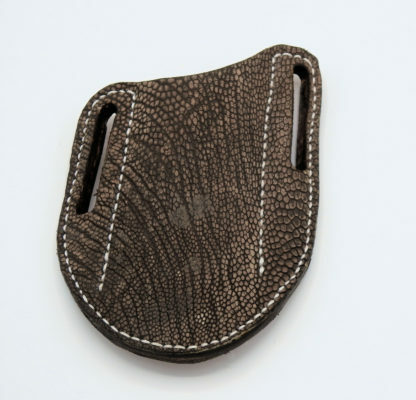 Leather sheath case for your folding knife made from high quality Vegetable Tanned Leather with a Genuine Ostrich Leg overlay. 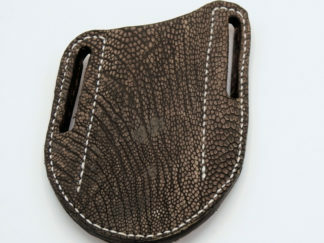 This sheath will last for years, unlike the flimsy holsters that last 6-8 months. Carry on your belt knowing your knife will be secure and you can easily get to it when needed. This one made to carry on your right side. 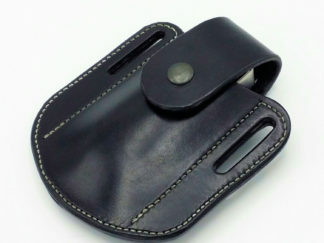 Leather sheath case for your Folding Knife made from high quality Vegetable Tanned Leather and an Ostrich Leg overlay. 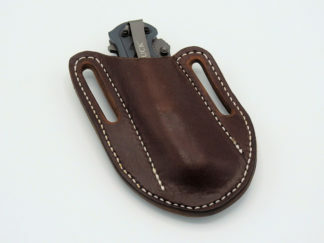 Fits medium size folding knives…the knife shown is a Buck knife, approximately 4 1/2″ long x 1 1/4″ wide x 5/8″ thick. 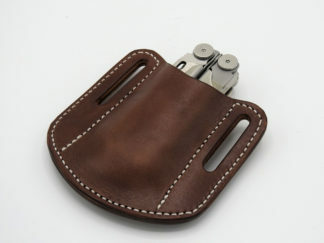 They will fit with our without the clip but most knives allow you to remove the clip when you are using a sheath with 2 little screws. This one made to carry on your right side. 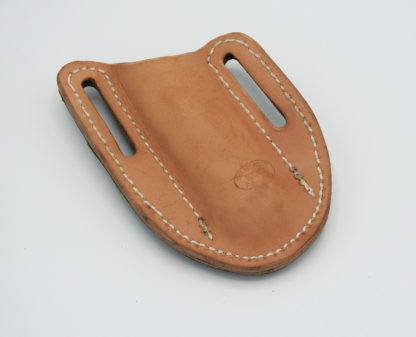 This sheath will last for years, unlike the flimsy holsters that last 6-8 months. 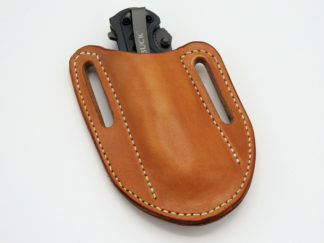 Carry on your belt knowing your knife will be secure and you can easily get to it when needed. 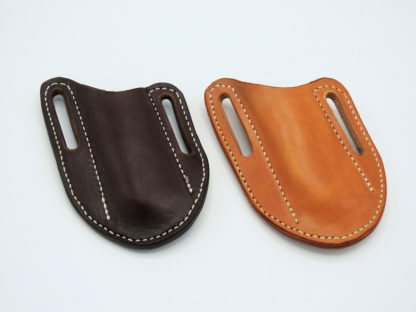 The sheaths are friction fit and when you put them on your belt the case gets even tighter. I make several finishes and can make them for your model of knife by custom order. 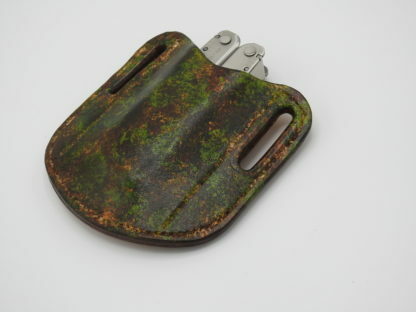 This sheath has a cigar colored ostrich leg overlay but I also carry brown, tan, exotic covered, and even camo finish. Contact me for anything you want that is not in stock or not shown.